I'm pretty new to this technique and am thinking about buying LRT4 for my workflow. I have a question, what is the difference between creating a time-lapse "movie" and creating the time lapse from a series of still frames? So far I have created my time lapse movies, as a movie in camera (Nikon D810), not from individual frames. Is one technique better than another? 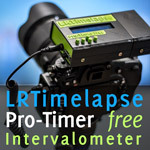 Does LRT4 have a work flow for defickering a time-lapse not created from individual frames? If you want to get serious about time lapse, you should definitely shoot individual frames (preferably as Raw files) and learn the editing process. 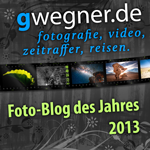 This will enable you to make decent edits to color, whitebalance, dynamics and contrast etc. and even animate those edits across the sequence. Additionally you will have access to more advanced techniques like the "Holy Grail" of time lapse photography: seamless transitions between night and day. And you will be able to eliminate any flicker effects. Further more you will have access to the full resolution images that the camera delivers - this allows to make crops and still have enough resolution for final video, even in 4K. When you use the timelapse-movie feature that is built into some cameras, you will get an already developed and highly compressed video file that does not give you much room to edit. The quality will be way inferior and you will get only HD footage. Additional cropping will make the resolution even lower. While LRTimelapse has a dedicated "video-workflow" that allows to split up a movie file into single JPGs in order to be able to use the LRTimelapse workflow to edit it like an image sequence, I do not recommend this approach for editing time lapse clips generated by the camera. Use the interval shooting feature instead, of even better, an external intervalometer to trigger the camera. 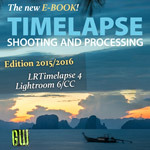 If you really want to get into time lapse photography, I'd suggest that you get my EBook and learn how to do it right from the beginning. It's so much more fun and will deliver the great quality that will make your viewers excited about your time lapses. You might start by watching my free tutorials.